How safe is your lens from breaking or failing? but they can still get broken. Generally lenses last for years. The well built and robust lenses last well and give great service. But despite looking solid and unbreakable they are vulnerable. Lets look at the situation. 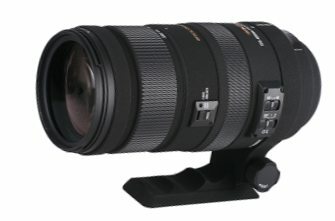 What makes a lens vulnerable? Lenses are often metal cased and quite heavy. While they are pretty resilient they still break or fail. Lens scratches – every lens has a front element that is open to the air. That element is highly vulnerable to impacts and scratches. Lens glass breakage – the front element can be impacted by another object or bashed against something. It is breakable and may shatter. Internal impact damage – everyone drops lenses! Modern ones are breakable. Internal components can break or go out of alignment. Jambing is common after an impact. Electrical component failure – modern lenses are sophisticated electronic systems with motors and computers on-board. All these components are potentially liable to failure. Dirt entering the lens body – happens surprisingly often. Sand and fine dust particles can enter in a number of places in the lens. The dirt gradually builds up in the lens. Water and damp in the lens – these build up over time and cause the potential for rot, growth of fungus and corrosion of electronic contacts. Mechanical failure – lenses wear out or deteriorate from wear and tear. Lens damage – how does it affect me? Lenses are expensive. The better lenses are an investment but are very expensive. For a good return from your purchase look after the camera and its lenses. A recent blog from Lens Rentals exposes how they are vulnerable as a business to heavy wear and tear on lenses. They base their whole business on renting lenses. The renters are sometimes (frequently?) less careful with a rented lens (surprised?). Lens rentals get involved in lens repair a lot. As a result they have a range of things to say about different manufacturers, the different lens models and the various vulnerabilities. Lens damage – the effects! Repairs take a long time (many weeks with shipping / factory queueing). You may not get your lens back – if you decide you don’t want to pay. You may be charged if you do not get your lens back. You may be charged worldwide shipping costs in addition. Repair costs may exceed the lens value if an old model. Repair and shipping costs may exceed replacement cost. You may have to pay a fee for a repair estimate. Estimates may turn out to be inaccurate (rare). You are going to be weeks without that lens even if repaired. Lens repair is expensive and you will be without the lens a long time. It is therefore worth considering just buying another – especially for cheaper lenses. Or, if the damage is not too bad, just living with it. A tiny scratch on the front element may irritate. They consider it important to have perfection, so they ship the lens for repair. A lens costing, say £600 may have a total cost of estimate, parts and repairs of around £150 for repairing the tiny scratch. You may be without the lens for, say three months. Is it really worth it? An alternative for many of us is to remove the tiny scratch in post processing, and save the money for an up to date replacement later. Don’t drop your lenses! Always work on or over a surface so lenses cannot drop far. To reduce slipperiness: Do not change lenses while wearing gloves; have clean hands; always change lenses when dry and out of the rain; do not allow chemicals or grease onto the lens body. Place lenses on surfaces in the middle or away from the edge. Watch out for the lens rolling off tables etc. Don’t give your £1500 lens to a child! Keep your lenses dry and chemical free! Water/chemicals in your lenses cause all sorts of problems. Going out into damp cold air or hot air from air conditioned rooms causes problems. Let the lens cool down/warm up slowly in your bag before use in the new conditions. Condensation can form in a lens if they suddenly change conditions. This will not suddenly have an impact but over time could cost you a lot of money. This precaution lengthens the life of your lens. Keep your lens out of dust or take protective measures Wrap a plastic bag around it if you must use it in a dusty environment. Always wipe the lens down before putting it in the lens case or it will build up dirt in the case and pollute the lens more and more over time. Keep your lens in proper, padded lens cases. Impacts are the most damaging events for a lens. Padded cases provide protection when the lens is off the camera (a surprisingly damaging time for a lens). Be careful where you put your lens/camera down. Lenses/cameras get kicked while on the ground! They also get knocked off things. So make sure they are secure against that. You can use a camera strap to secure it to something while is it put down. Use a lens hood! The lens hood will protect against side swipes, frontal crunches and rain on the lens as well as prevent stray light from creating flare. In the end being careful and sensible with your lens will ensure that it remains an investment and not a disaster. Think about what you do with lenses, where you put them and the environments you use them in. But more than all of that, think carefully about insurance. Many of us walk around with huge amounts of money around our necks! Be acutely aware of your investment. This entry was posted in Equipment, Insights, Photography, Technology, Tips Tutorials & Techniques, Video included. Bookmark the permalink. Great article. I insure my lenses. And that is the smartest thing I did. My camera caddie (husband) dropped my macro lens while we were in the Rockies. I stopped in Colorado Springs at Mike’s Camera and replaced it with a better one so as not to ruin the vacation. On returning home I was pleasantly surprised that the rider had no deductible! I left State Farm with check in hand. Insure your gear!! With you 100% there! Sounds like you came out on top. Thanks for commenting.